This auction features Yamaha Electric Piano, Weber charcoal grill, Lenox birds, Barware, Noritake Valiere dining set, Lenox, Wedgwood, Noritake Dishes, Repro Singer Sewing Machine, Repro Singer Sewing Machine, Drop Leaf Kitchen Table, Shop Vac, LGB Trains, LL Bean Harmony Kayak and much more! This online auction features FURNITURE: Hickory Chair Co. camel back sofa; two corner cabinets, dining table and 6 chairs; Kindel dresser with mirror; Nichols and Stone Colonial chairs; Hitchcock bench and end tables; oak office furnishings; church pew and more! STERLING SILVER: Serving pieces; ANTIQUE chatelaine change purses; JEWELRY - turquoise, heavy cuff and more! 14K and 10K gold jewelry. ANTIQUE: SPINNING WHEEL; framed photo's from the early 1900's. 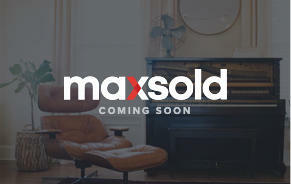 VINTAGE: Handbags, furs; electronics - Panasonic word processor, projector; Lester piano and more! COLLECTIBLE: Lenox; Blue Ridge Pottery; Delft; Wedgwood; steins; pewter; horse brass; ephemera. CRYSTAL/GLASS: Large set of Colony Harvest milkglass; blue glass. CHINA: Hammersley "Victorian Violets" Boutonniere, Japan dishes; Limoges; Noritake and more! Lifestyles treadmill. 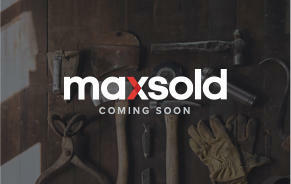 WORKSHOP: Power tools and supplies. CRAFT: Leather crafting tools and supplies. ART: Don Swann pieces and much more! This online auction features FURNITURE: Frank Hudson & Son "Balmoral" reproduction dining room pieces - dining table, chairs and buffet; Charles Sheraton brand bar made in Leeds, England; outdoor. ANTIQUE: English stone-topped dresser, pedestal table, Colonial Manufacturing mahogany desk and chair; Cuthbert trophy prize turned lamp from horse race in 1902. STERLING SILVER: Sterling and etched dessert cups, candleabra, weighted candlesticks, Kirk Stieff cake server, serving dishes/plates. CRYSTAL: Royal Brierley bowls, glassware, "Elizabeth" stemware; serving pieces. CHINA: App. 25 pieces Royal Worcester "Evesham" serving pieces; Royal Doulton "Juliet"; Wedgewood "Williamsburg Flowers" dishes. JEWELRY: Sterling and costume - men's and women's. YARD AND GARDEN. TOOLS/ HARDWARE. CAMPING. CHRISTMAS and much more! This online auction features Marble Top Sideboard, Czech Urns, Royal Doulton Figurine, Antique Square Grand Piano, cranberry glass oil lamp style lamps, Tomlinson Desk, Dresser, Needlepoint Rocker, Dressing Table and much more! This online auction features hand and power tools, holiday decor, camera, Pez dispenser collection, glassware, fireplace accessories, pool table, wall art, candles, shelving, board games, foosball table, toys, stuffed animals, train sets, records and much more. This online auction features artworks, furniture, jewelry, electronics, office supplies, kitchen items, glassware, Franklin Sewing Machine, toys, collectibles, tools and much more. This online auction features cameras, china, glassware, TVs, sofas, mirrors, lamps, weights, rugs, ladders, tools,flower pots, outdoor furniture and much more. This online auction features ANTIQUE: c1900 mahogany game table, mandolin harp, spinning wheel, pie safe, mantle clocks, wall phone, Edison phonograph, Cylinder player and more! VINTAGE: Jewelry - sterling, 14 K, costume; mahogany secretaries, Duncan Phyfe style sofa, Philco entertainment center, Singer sewing machines, wooden household items - ironing boards, Firkins, spools, potty chairs, crates and much more! COLLECTIBLE: Crystal/glass - hand cut Celtic, colored; Asian china; dolls and accessories; cast iron trivets; many lots of stoneware crocks, jugs and more! COLLECTIBLE: Baskets; steins and tankards. Unusual House of Webster cast ion electric range and much more! Very clear instruction set to bid and accurate and complete description of items bought. Courteous, helpful staff on pickup. A good experience overall and am pleased with purchase. 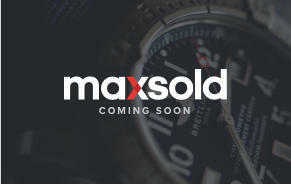 Would definitely recommend MaxSold to buyers and sellers. Easy, organized and well defined timelines. Most items have plenty of photos to show the condition. Staff was very friendly and helpful to locate and even help move items into my car - It was much appreciated. 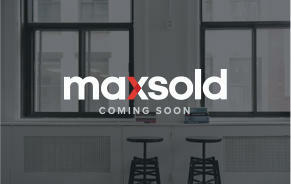 Maxsold takes the risk out of selling. Their staff is very professional and there is no meeting strangers on a street corner. This is the best way to sell. Very organized, great prompt service. Provided good information on the process. A great help in going through ALL the tremendous amount of items. Everything was an easy process. 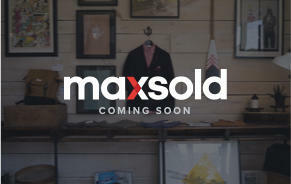 We are very pleased with all interactions by MaxSold. You followed-up with everything and kept us informed as to what was happening and when - this made it much easier. Everyone has been so helpful and knowledgeable. Thank you! 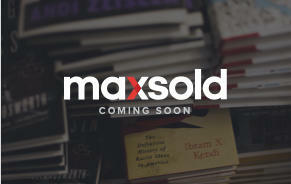 Our auction was handled very professionally from set up to pick up and "leads" made sure that everything went smoothly. Thank you for your hard work. Amanda did an outstanding job of helping me with my questions on the estate sale. I really appreciated her valuable time and expert advice. Many thanks, Amanda, for a job well done! The rep ran me through all that was needed, the schedule, and process, then sent me an email contract which I signed. Easy and simple. A few days later catalogers and photographers showed up and began the work of setting the stage for the auction. Painless! Only 1 out of 125 lots did not sell. I was pleased to have all of the items removed from my house on the pick-up day and my check came promptly. 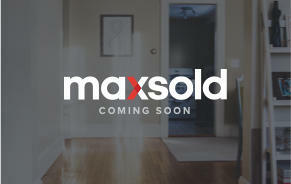 I recommend MaxSold to others who are downsizing and/or moving. Patti was patient and helpful.